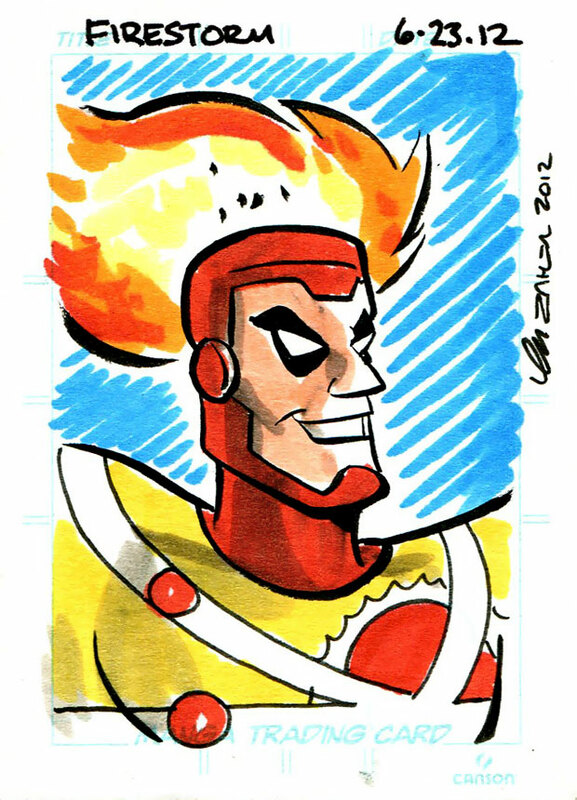 Check out this super-cool Firestorm sketch card I bought at DragonCon from Thom Zahler, creator and artist of the comic book, Love and Capes! I dig Thom’s clean, cartoony style — it’s just plain fun! In addition to being ultra-talented, Thom is also a huge Firestorm fan! Back in 2009, I commissioned a Firehawk sketch from Thom which you can see by clicking here. If you haven’t checked out Love and Capes, you can order the trades online or from your local comic book store. Support Firestorm (and Love and Capes)! Fan the flame! ← George Perez at DragonCon 2012!